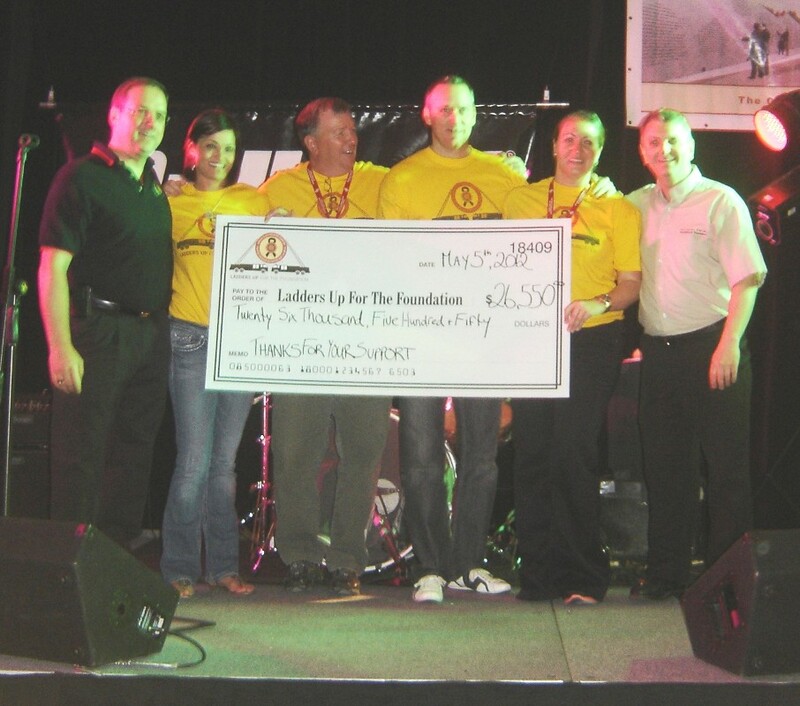 President Robert Kirkpatrick (r) and Ontario Director Dave Sheen (l) accept cheque from organizing committee. 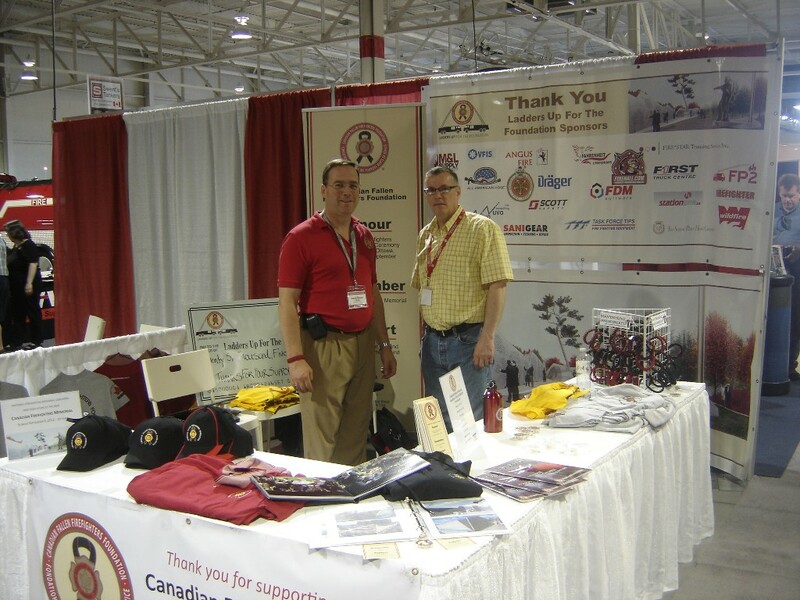 Dave Sheen and John Clare man the CFFF booth at the OAFC trade show May 5 and 6. Thanks to OAFC for sponsoring our booth. The Foundation appreciates all who attended and supported the event.